Tuesday Feb. 20 | 7 p.m.
“The film depicts an ordinary week in the lives of men and women from Niger who have migrated to Abidjan, Cote D’Ivoire for work. After a short introduction by Rouch, “Edward G. Robinson”-Omarou Ganda, who like the film’s other subject-collaborators plays himself under the name of a Western movie star-takes over the film’s narration, recreating dialogue and providing freewheeling commentary on his experiences. Robinson describes the bitter reality of life in Treichville, a poor inner suburb populated largely by migrants, and his work as a day laborer (bozori) in the ports. When the weekend arrives, he and his friends go to the beach and the bars, but even during this brief respite from their drudgery, they remain second-class citizens. 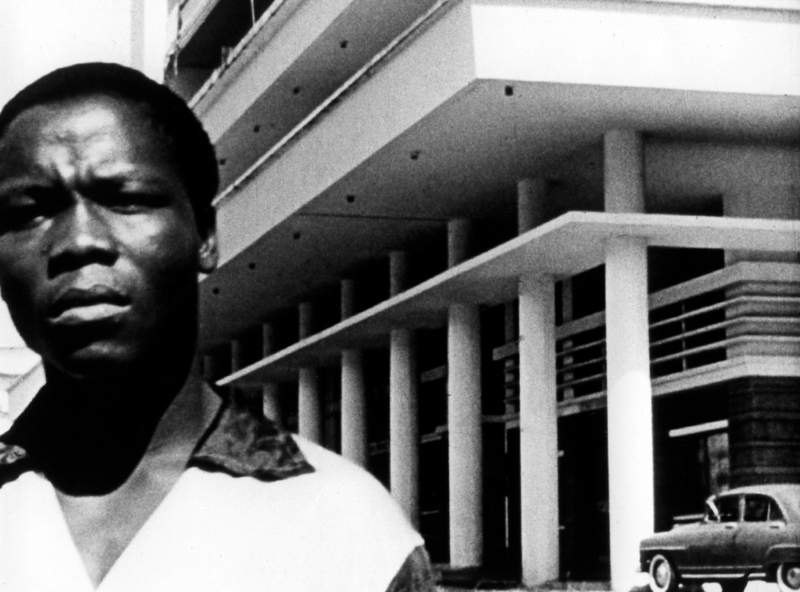 MOI, UN NOIR also brings inside Robinson’s richly detailed inner life, as he describes his fantasy of becoming a championship boxer, his dream of marrying “Dorothy Lamour” (Gambi, another Nigerien migrant), and his childhood memories of Niger. Introduced by Dr. Nancy Schiesari, Producer/Director/Cinematographer and Professor, Department of Radio Television Film, with discussion following. Free and open to the public, no rsvp necessary.